Love coffee? Discover this amazing gourmet coffee! PURE GENIUS...a breakthrough coffee that tastes great & makes people feel fantastic. Incredible flavor. Feel wonderful. Smooth energy. Not acidic. Our customers LOVE the rich, gourmet taste. And they REALLY LOVE the way it makes them FEEL! Experience the SMOOTH clean energy that lasts and lasts. You can try our coffee RISK-FREE with our unconditional guarantee. 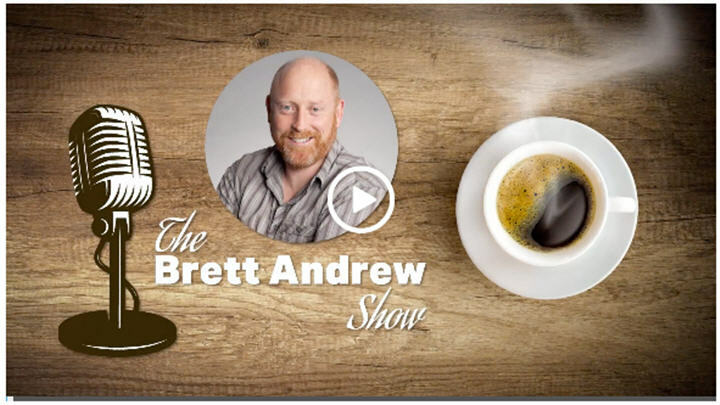 On today’s show, Brett "Andrew" Rademacher will be talking with the co-founder of a global gourmet coffee and tea beverage company. However, this is not just any gourmet coffee. While this company does market a great tasting gourmet coffee, it's not just the coffee’s taste that has the marketplace buzzing, pun intended. It's what they put in their coffee and tea that makes it so unique and fascinating. If you drink coffee or tea, at least occasionally, then complete the form on the right, fasten your seatbelt, and listen and watch about this "Amazing Coffee Breakthrough!" You’ll hear about this remarkable story and breakthrough in the gourmet coffee industry. FIND OUT WHAT MAKES THIS COFFEE SO UNIQUE AND DIFFERENT! “I LOVE LOVE LOVE your coffee!!! It doesn't give me an upset stomach and it tastes great!!! My husband calls it the "happy coffee" for the way it makes us feel.”- Amanda B. “This is by far one of the best coffees I've ever had. I love it. Your coffee is rich and has lots of flavor. 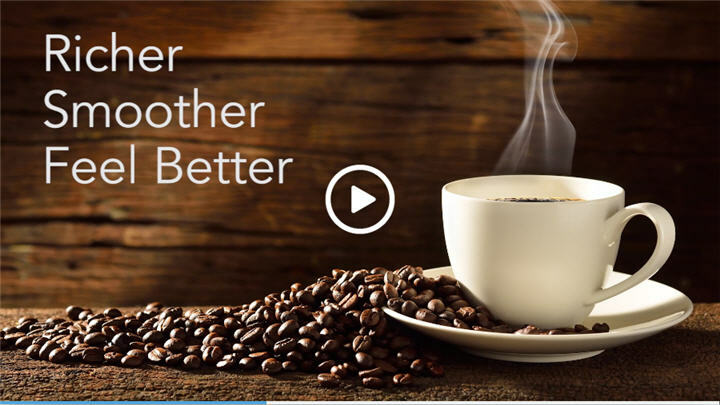 I recommend it to anyone who loves coffee.” - William S.
“This is amazing stuff. I am a coffee addict. Seriously. This stuff is awesome!” - Jessica B. “Your coffee is outstanding. I have been drinking this coffee for years now, and can't say enough about it.” - Mike W.
“This is the best coffee I've ever had. This is truly what coffee is really supposed to taste like! I love coffee and yours is tops on my list.” - Virginia L.
“Your coffee makes me feel like I have found my fountain of youth. I wake up happy and my whole day is filled with a quality energy.” - Bill T.
“I love your coffee! It makes me feel good and energized all day. I can tell the difference if I do not have it. Thank you!” - Sophie S.
“This is the best and smoothest coffee I have ever tasted, and the best part for me is it does not give me bad breath like all the other coffees.” - Bob T.
“I call this my "Crack Coffee". It gives me such a needed boost of concentration without that nasty over-caffeinated feeling you get from other coffees.” - Jen M.
“I've been drinking your coffee for years and have no plans to change. This is like no other coffee that I have ever tried. Smooth taste and no bitterness!” - Irwin G.
“Your coffee is amazing. I feel completely different on the days I drink this coffee and the days I don't. I have more energy and my whole body feels better.” - Laurence M.
“I am hooked on your coffee. I have been drinking it for over a year now. I tried to go back to regular coffee but it isn't happening. Your coffee makes me feel good!” - Lavelle W.
“I have tried many different coffees in my lifetime but your coffee is the smoothest and richest flavor I have ever had. The perfect cup every time.” - Tim B. “Outstanding coffee. It does not taste acidic. Acid began to bother me from coffee, but with your coffee I no longer have any problem and its taste is wonderful.” - Starr L.
“This is the best coffee ever. I LOVE the way it tastes and I'm a coffee snob. It keeps my energy without the crash. It’s a huge win-win. I highly recommend your coffee. - Amber G.
“The best coffee I ever had. It's simply the best coffee.” - John W.
“All I would say to someone who was curious about your new coffee breakthrough is to give it a try one time… That’s what I did and now I am your #1 fan!” - Jim S.
Be sure to listen to the interview above and then request details on ordering our DISCOUNTED sample pack RISK-FREE with FREE shipping! YES, I want INSTANT access to your RISK-FREE special sample pack with FREE shipping!